I have been an educator for about 20 years. I have taught almost everything from preschool to high school, including swimming, environmental education, basketball, soccer, first grade, third grade, fourth grade, fifth grade, middle school, English Language Development, Social Studies (in Spanish), Mathematics (in Spanish), Spanish Language Arts, High School mathematics and presently I am spending most of my time facilitating learning experiences for Teachers in the area of Mathematics. I grew up as a "River Rat" chasing frogs and turtles on the Russian River in Healdsburg and began my strong desire to learn the Spanish language and learn about the Latino cultures in the Healdsburg Elementary Schools. I completed my BA at Sonoma State University in Chicano/Latino Studies. I earned my B/CLAD from Sonoma State (which is no longer offered at SSU) while I was teaching full time. I have been blessed to work for the past 15 years in the Sonoma Valley Unified School District. I have also been very blessed to have had the opportunity to teach (and learn from) my own three children in many different ways over the past 14 years! 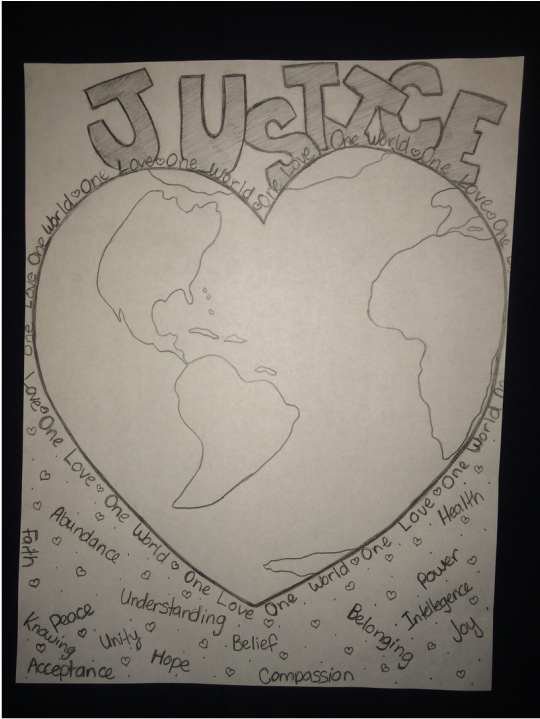 The most significant understanding I have gained over the course of my entire educational career is the fact that in everything I do in my life, in all the roles that I hold in this world, social justice is my goal and building relationships is the most meaningful and effective way to facilitate the development of a more just world. Now that I have come to understand this purpose in my life, I am constantly looking for the most transformative ways to participate in facilitating social justice in our community and our world. My MA project is about how to create experiences of affirmation, solidarity and critique for youth from marginalized communities or groups. Technology and travel play a role in creating the communities where diversity is not just accepted, but affirmed and appreciated. On the following pages you will learn about my journey as well as my vision for what lies ahead, opportunities for Transformative Travel experiences for social justice. PLEASE CONTACT ME WITH QUESTIONS, IDEAS, OR SUGGESTIONS!